Friends of Team Fox consists of a group of 12 friends who started fundraising for the Foundation in 2006 and have thrown an event every year since! They have raised over $25,000 to date! Celebrity Chef Chris Cosentino describes himself as an "all or nothing" guy. On the September 26 finale of "Top Chef Masters," he earned the title — and walked away with it "all." 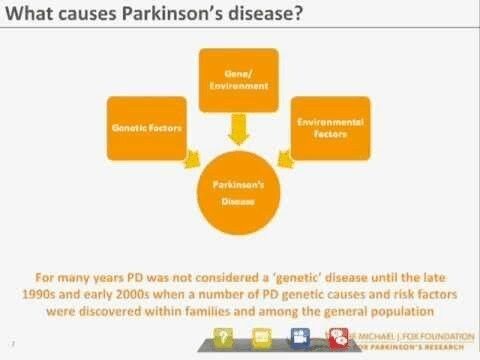 The Genetics of Parkinson's Disease: On Demand! Upset that you missed last Tuesday's webinar on the genetics of Parkinson's disease (PD)? No problem! Thanks to technology, you can now tune in to the webinar when you want to, on demand. Kelsey Zeswitz has always looked up to her mom, Chrissie. Now more than ever, Kelsey draws strength from her mom's optimism and determination to not let Parkinson's slow her down. On September 8 in Old Orchard Beach, Maine, over 430 riders took part in the New England Parkinson's Ride. Calling all Team Fox runners. The 2nd Annual Fall Foliage Half Marathon and 5k will be held on Sunday, October 14, in the beautiful Hudson Valley town of Rhinebeck, NY. It's fall at The Michael J. Fox Foundation! We're buzzing with activity in our NYC headquarters and from coast to coast. 2nd Annual Leave Parkinson's Behind: A Fall Event! Team Fox member Nancy Mulhearn will be hosting her 2nd Annual Leave Parkinson's Behind: A Fall Event on November 17th, 2012 in Hunterdon County, New Jersey.